The hubby and I visited Harrison Hot Springs this past weekend to get away from the city and spend some quality time together outdoors. Not only did we spend some much needed time relaxing in the hot springs, we took our fitness outside and went for a hike. One thing I love about the warmer and dryer months is that we can actually get outside and back into the routine of outdoor activities. The hubby and I had the opportunity to partner with Merrell Canada and their Take a Hike campaign, which encourages you to get outside and explore your favourite trails. One of the benefits of being in the mountains is we have access to a variety of nature hikes with gorgeous views. Since we we're in Harrison, we took advantage of our location and explored the Sandy Cove Trail located right next to the resort we were staying at. What I love about this trail is that it ends on a sandy beach with views of the mountains. On our way home, we also decided to stop at Bridal Veil Falls, which is a short 20 minute trek up the mountain to see the sixth highest water fall in Canada! Both trails were easy to moderate so even our little Shih-Tzu Poodle was able to accompany us for both adventures. Unfortunately, it wasn't the driest of days, but the hubby and I were pleasantly surprised to find how well supported we felt in our Merrell hiking boots - such good traction! I've personally slipped down a mountain before and know how scary it is to lose balance so I was very happy that I was able to maintain my grip and balance on the slippery rocks and mud on the trails. It also helped that the boots looked super cute with my hiking version of a Canadian Tuxedo =). Merrell Canada is offering And She Dressed readers a chance to win a pair of MOAB 2 or Siren Sport q2 hiking shoes! Simply enter by uploading your latest outdoor adventure photo on Instagram, tagging @merrellcanada and using hashtags #MerrellCanada and #TakeaHike for a chance to win weekly! Now go out there and explore what nature has to offer you! I need myself a pair of boots like this Rina. We are always exploring in nature and I find myself slipping and falling all the time. These are fantastic shots of you and your love. Looks like so much fun.I love the denim vest. You have got to be the most stylish hiker ever! Sounds like you had a lovely weekend away together! I think I need to get a pair of those! I absolutely love hiking and these would be perfect! You guys are the cutest! An you are definitely rockin' those hiking boots girl!!! Pareja de guapos vuestros look me encanta y vuestras deportivas. Un besazo fuerte. If I can visit to Canada, I should see this bridal veil falls. All of these photos are amazing! I seriously love hiking, but I definitely don't look as cute as you haha! those are seriously the cutest hiking shoes ever! I love these pics. They are so different to your classic fashion pics. It is great to see you in different setting. 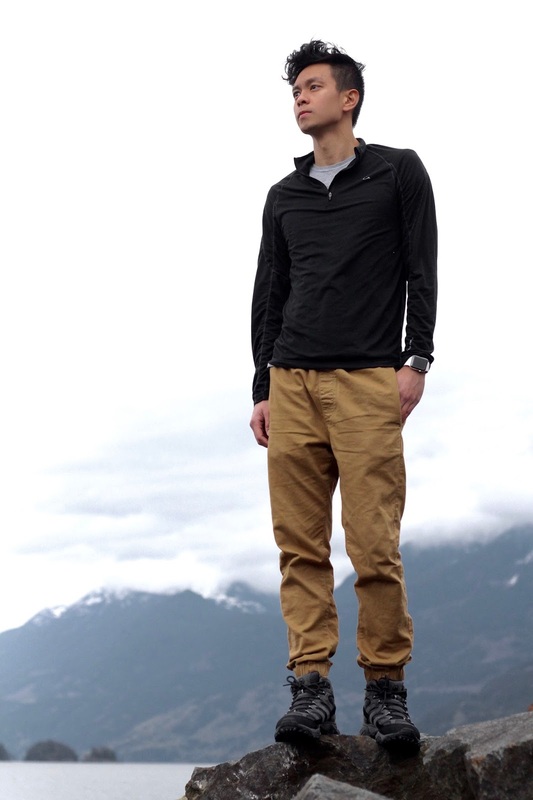 I love these hiking shoes. They are very stylish. 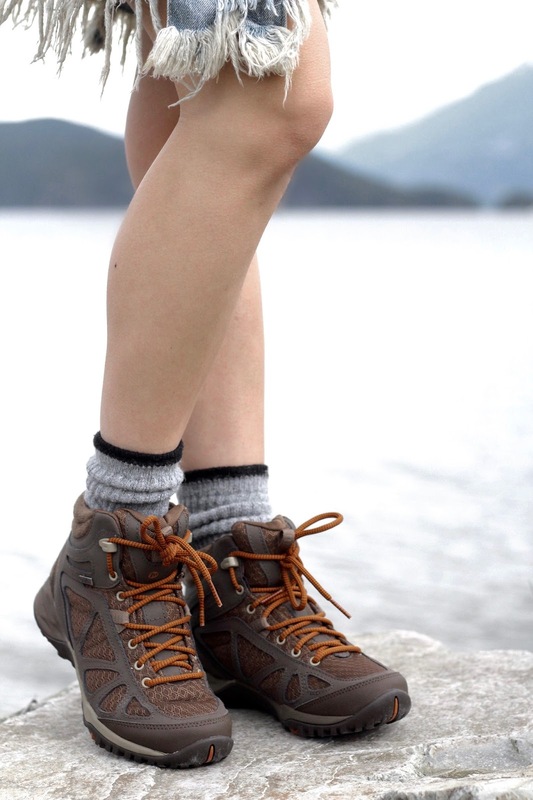 I love how you made hiking boots so stylish! They sound perfect for hiking! I would love to go hiking too! Love both of your outfits! Nice pictures! 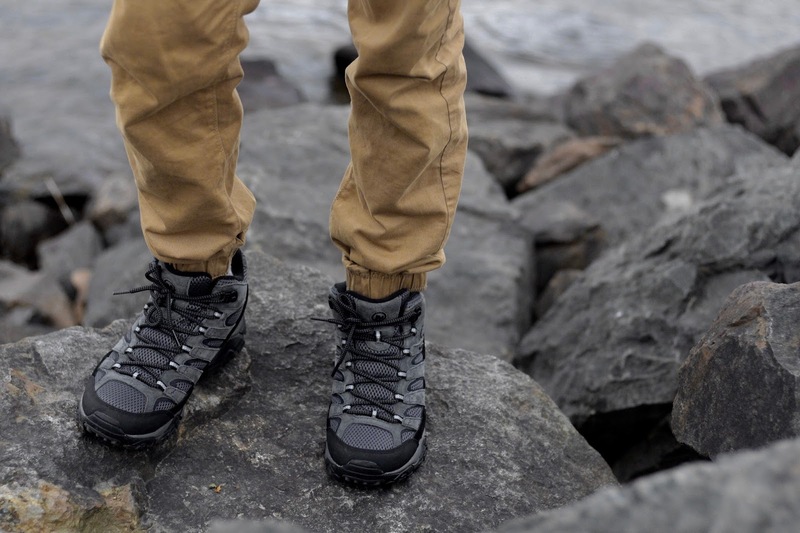 The hiking boots look great for this cool weather. I've always looked to this brand for outdoor footwear. They have such reliable quality and performance! Yay for doing shoots with your hubby! You both look amazing and I like how you styled this hiking attire! Much love from Napa Valley!